Come experience a life changing journey of: CONNECTION, empowerment, LOVE, nourishment for the SOUL, and SISTERHOOD. Attend at any stage in your pregnancy journey! Your Sacred Pregnancy is a journey. Our classes hold space for pregnant women to connect with one another and their pregnancy experiences in meaningful and personal ways. Sacred Pregnancy classes bring back the age old tradition of women sitting with one another during pregnancy and birth, getting empowered, witnessing each other’s process and BEING there for one another during an incredibly power-FULL rite of passage…becoming mothers. Sacred Pregnancy classes are a special place for pregnant women to gather together during their pregnancy journeys. Pregnancy is one of the deepest drinks life has to offer. Each woman’s pregnancy pot gets stirred with various emotions and we all need a safe place to process those tides and experience sisterhood in our community. Our time is spent exploring pertinent topics that naturally arise for most women as they walk down their pregnancy paths and encourage deep sharing, exploring art, expression, laughter, honoring and celebration. Part THREE: Fears & Forgiveness:: Holding space to discuss all fears relating to pregnancy, birth and motherhood + Find the strength to forgive past hurts allow emotional space to open up BEFORE baby comes. Part FIVE: Sisterhood:: The conclusion of our time is spent in a sisterhood circle in deep reflection of the experiences shared together and going forward. During the weekend format, parts 1-4 are covered on Saturday, and parts 5-8 are covered on Sunday. Part FOUR: Relationships + Romance:: We will discuss relationship shifts, romance + keeping the fire lit! Part FIVE: Fears & Forgiveness:: Holding space to discuss all fears relating to pregnancy, birth and motherhood + Find the strength to forgive past hurts allow emotional space to open up BEFORE baby comes. Part EIGHT: Sisterhood:: The conclusion of our time is spent in a sisterhood circle in deep reflection of the experiences shared together and going forward. SACRED PREGNANCY 8 WEEK SERIES: The next 8 week series is in the works! Much planning and love goes into preparing for Sacred Pregnancy. Dates for an upcoming series will be announced soon. Attend at ANY stage of your pregnancy! Click HERE to let me know you’re interested. 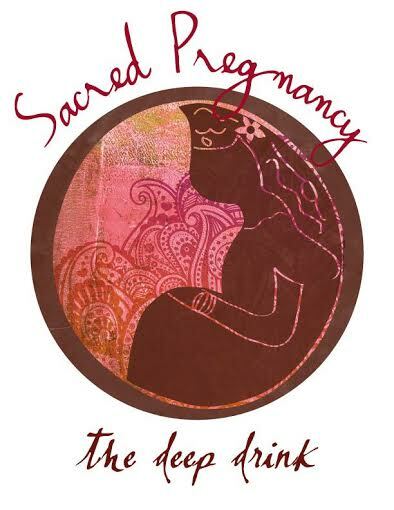 SACRED PREGNANCY WEEKEND: Join us this winter for a cozy Sacred Pregnancy Weekend! This condensed version of the Sacred Pregnancy Series takes place over 2 days in an intimate setting. Location in Kitsap County TBA. Investment for this class is $250. Send me a message if you’re interested in attending. Spots are limited! Prices includes continental breakfast, snacks, and lunch, all art supplies, and a swag bag! There are no refunds after securing your spot for Sacred Pregnancy, but if you are unable to attend, you may apply your tuition to a future offering.